At Buford, we are actively working to create an inclusive environment that provides for the physical and emotional safety of all of our students. Increasing supervision in the hallways and during transition. Mobilizing groups for students who need skills in conflict resolution and social-emotional awareness. Having direct conversations with students about how we should treat one another including a no-tolerance policy for bullying. Beginning discussions with student on how to intervene and how to report. Instituting a homeroom in the mornings to provide students a calmer, less chaotic start to the day,. Continuing the “Peace Squad” club (originated for fifth- and sixth-graders at Walker School) so students can continue to learn the skills of being an “upstander” and can continue to promote the trademark message, “Kindness is cool. Training for staff with a certified trainer has also been scheduled for 11/7. 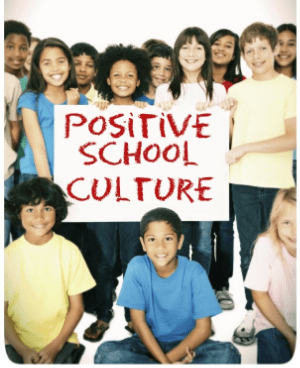 Announcing the creation of a committee to address school culture. To volunteer, see details, below. While this work will be ongoing, several events held during the week of 10/22-26 have directly addressed this issue. Monday, 10/22 – Buford United Student Assembly, which reiterated school expectations and the message of kindness and inclusion. Wednesday, 10/24 – Unity Day celebration, which spread the message of kindness, inclusion, and unity. Thursday, 10/25 – Presentations from Liz Ianelli, a psychotherapist and clinical industry expert on bullying, and Susan Sutton, a nationally recognized school counselor and cyberbullying consultant, followed by a Q&A with Mrs. Carter. Friday, 10/26 – Susan Sutton’s student presentation on cyberbullying. The emotional and physical safety of our kids is deeply important to me not only as a principal, but also as a parent. I look forward to working with all of our families as we continue to shape and mold Buford Middle School into the school we want it to be for all of our students. In addition to the above events and others that are planned for the 2nd quarter, we are seeking parent volunteers to serve on a committee to address school culture. Our school needs your voice! If you are interested in serving in this capacity, please contact me via email at carters2@charlottesvilleschools.org or by phone at 434-245-2411.